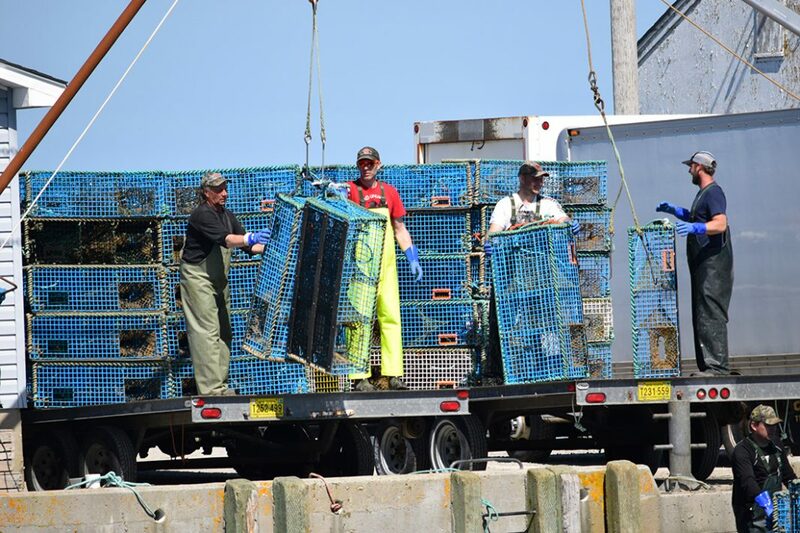 The pots are now ashore in lobster fishing areas (LFA) 33 and 34. 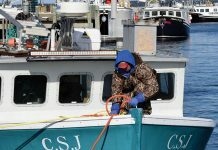 This marks the end of a season where the weather has hampered fishing efforts, including a one-day delay in the scheduled season opening of November 27, hurricane force winds in late December and northeast gales throughout the spring. 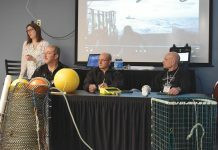 “Mother Nature did us no favours during the winter months,” said Leo Muise, executive director of the Nova Scotia Seafood Alliance. 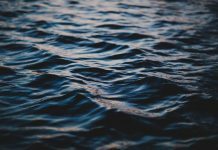 While strong landings were reported early in the season when fishermen could get out, cold water temperatures have also had an impact in landings this spring. Strong catches in LFA 33 were reported earlier in the season. Aside from the weather, “it’s been a good season overall,” said Berry. 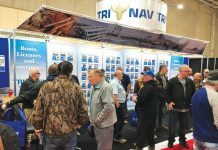 “It hasn’t been a record-breaking season either catch-wise or price-wise… but it hasn’t been a disaster,” describing the spring as “so-so.” “There are lots of tinkers and lots of seeders around. That bodes well for the future,” he said. 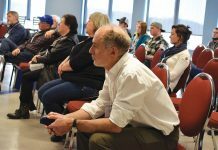 In general, the industry has seen some adjustments in market prices, said Geoff Irvin, executive director of the Lobster Council of Canada, summarizing that for processed products in 2017/2018, meat prices went down dramatically, larger tails went up, whole raw and cooked from the fall went down and the live sector was steady to lower. 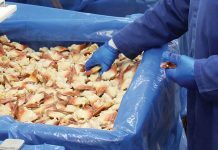 “Asia, Europe, the United States and domestic markets remain generally good for all premium protein, but we must be mindful that there is a point where restaurants take items off their menu when prices get too high, which is what we saw with lobster meat,” said Irvin. 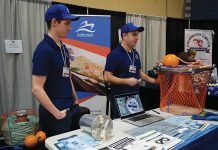 Muise said the U.S. “remains our most important market,” for Nova Scotia lobster, with demand in Europe “constant, reliable and growing,” boosted by the Canada-European Union Comprehensive Economic and Trade Agreement (CETA) that took effect last fall, creating a duty-free tariff on live lobster exports to Europe. Previously, live lobster exports into Europe carried an eight per cent tariff. 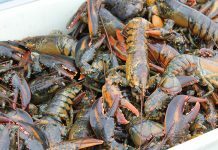 Under CETA, tariffs on frozen and processed lobster will be phased out over the next three to four years. 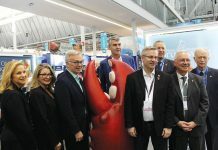 Since the CETA agreement came into effect, live lobster export data and anecdotal comments show that live lobster sales have increased to the EU, especially in southern countries, such as Spain, Italy and France, where the eight per cent tariff relief “makes us more competitive with our competitors in the U.S.,” said Irvin. The final catch data and landed value for the 2017/18 season for LFAs 33 and 34 won’t be available until this fall. There have been record landings for the past two seasons in the two districts, peaking in 2015/16 with a record landed value of $570 million with 39,200 tonnes caught. Landings were just over 30,200 tonnes with a landed value of $490 million for both LFAs in 2016/17. 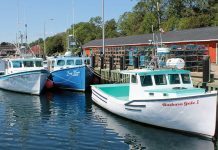 In 2017, Nova Scotia lobster exports were valued at $947 million.